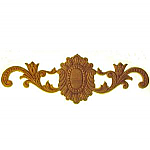 Antique reproduction furniture hardware is not always made of metal. Wood can add a warm feel to any room or furniture piece. Kennedy Hardware offers a beautiful assortment of functional accent hardware made from various types of oak, cherry and walnut. 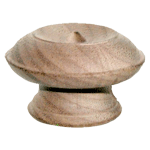 We have an extensive catalog of drawer pulls, knobs, keyhole covers, spindles, or other wood parts for your home or furniture restoration project. 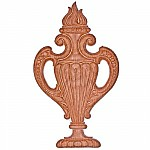 These pieces can be simple and functional, or intricate carved designs to add decorative flair to any furniture or room.